On Christmas Eve, Yamamura Animation set up a YouTube Channel and Google Plus page and began sharing some of Kōji Yamamura’s lesser known works and samples from his renowned works. Founded by the animator and his wife Sanae Yamamura in 1993 as a production company for animated and illustrated works, Yamamura Animation has made over 20 short films that have gone on to win more than 80 accolades including an Oscar nomination and Annecy Cristal for Mt. Head (頭山, 2002) and the Noburō Ōfuji prize for Franz Kafka's A Country Doctor (カフカ 田舎医者, 2007). In 2013 they opened an animation store and art gallery Au Praxinoscope in Tokyo. An early experimental work shot on 16mm, this film was Yamamura’s graduation art project when he was a student at Tokyo Zokei University. A commissioned piece for television, inspired by a 17th century scroll painting of the same name. Read my review to learn more. A short film improvised on the NFB iPad app McLaren’s Workshop. See my article Direct Animation for the Tablet Generation to learn more. A tribute to Norman McLaren’s Begone Dull Care (1949) created in the framework of Digital Spring. Produced by the NFB and the Quartier des Spectacles Partnership. Inspired in part by the short story “The Library of Babel” by Jorge Luis Borges, Bavel’s Book in my opinion marks the beginning of Yamamura’s maturity as an artist. Read my review to learn more. 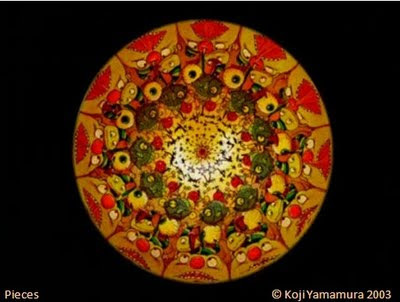 A fun experimental work by Yamamura that channels his love for early animation technologies. Read my review to learn more. Check out the Yamamura Animation YouTube Channel to see commissioned works like "Nose" for SICAF 2004, Anima Mundi 2008 and much, much more. Support this independent artist by watching the films with your adblock turned off.